Anybill passed a thorough examination of its controls and processes and has earned its SOC2 Type II certification. These certification guidelines are the industry standard and provide assurances to clients and prospects regarding Anybill’s security, confidentiality and several other benchmarks. This SOC2 Type II Certification is a validation of our platform and the organization behind it. It underscores our continuous efforts to provide the best service to our clients by every measure. Payment automation services provider Anybill today announced that it has recently completed the Service Organization Controls 2 (SOC 2 Type II) examination, furthering its commitment to data security and client protection. Anybill’s certification was conducted and verified by an independent accounting and auditing firm. 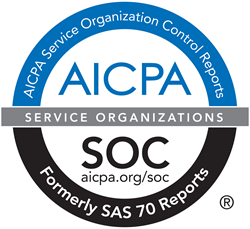 This certification is the latest in Anybill’s long history of successful operational audits, including SAS 70, SSAE 16 and SOC 1 certifications. A SOC 2 Type II certification represents that a service organization has been subject to detailed testing of the design and operating effectiveness of the service organization's controls. Anybill’s processes, procedures and controls were formally evaluated and were found to meet examination standards set forth by the American Institute of CPA’s (AICPA) Trust Services Principles and Criteria. Anybill completed its examination for all five criteria by which the SOC2 Type II exam judges service organizations: security, availability, processing integrity, confidentiality and privacy. The SOC 2 Type II examination is performed in accordance with AT Section 101, Attest Engagements (AICPA, Professional Standards). The examination is considered an acceptable method for users to obtain assurance about a service organization’s internal and external controls. Founded in 2001, Anybill provides accounts payable automation and tax payment services for the small to medium business market (SMB), as well as some of the world's largest corporations and organizations, encompassing a variety of industries. Anybill's cloud-based platform automates the accounts payable process, providing provides clear control, robust reporting, and data integration with accounting solutions. The company is headquartered in Washington, DC, and is SSAE 16 SOC2 Type II compliant. For more information, visit http://www.anybill.com.